As a journalist, it’s hard to put into words how much Cardinal Joseph W. Tobin has touched lives throughout his four years as the shepherd of the Church in central and southern Indiana. Adding pictures and other artistic elements to the story probably doesn’t do it justice either. But the staff of The Criterion has spent the last month perusing past issues of the newspaper, trying to capture the essence of Cardinal Tobin’s ministry here. From ordinations to confirmations, from welcomes of immigrants to visits with prisoners, from the National Catholic Youth Conference to the annual Bishop’s Bash for young adults, Cardinal Tobin made it his mission to spread the Gospel of Jesus Christ to everyone who crossed his path. Whatever a person’s walk in life, he demonstrated a selfless love that each of us would do well to emulate. This week’s issue is meant to be a special keepsake to help readers celebrate Cardinal Tobin’s years as the shepherd of our local Church. Many of you have come to know Cardinal Tobin on a personal level, and as he prepares to leave us to lead the Archdiocese of Newark, N.J., we felt it appropriate to look back—through stories, photos and graphics—at his ministry here.Even this only scratches the surface of the way he’s shaped the faith of so many of us. The pages that follow are filled with memories and defining moments that try to paint a portrait of the compassionate, loving shepherd who gave so much to the people he served. Also included are reflections from Cardinal Tobin’s fellow bishops in Indiana, who have grown to know their fellow prelate quite well during the past four years, poignant words from members of religious orders in the archdiocese who will miss a shepherd who embraced them and their missions as a brother in Christ, and local poets who use their talent to extend their prayers and good wishes to a beloved pastor and friend. Of course, no commemorative issue reflecting on his time here would be complete without the wisdom of children, who offer advice to the cardinal as he prepares for his new ministry for the universal Church and the Church of Newark. Simply put, this issue is our staff’s small way of offering our special “thank you” to a shepherd who has made our ministry for the Church such a privilege and joy. 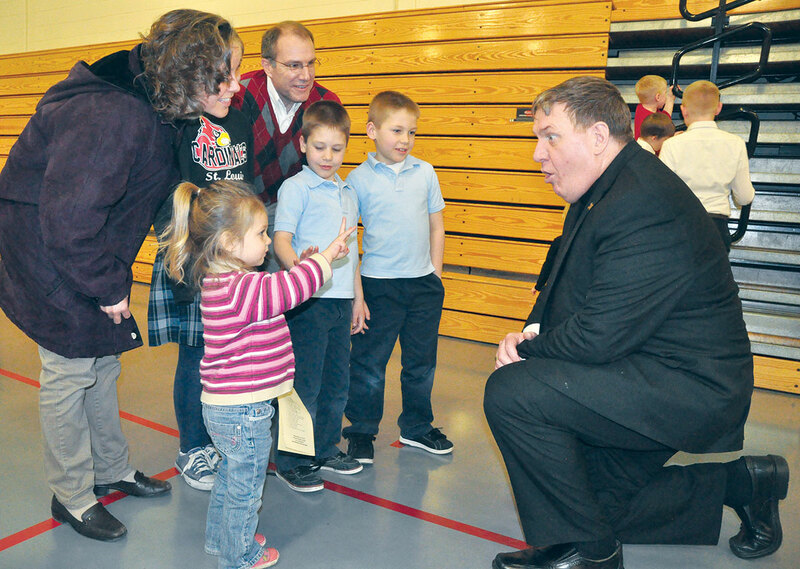 Although the majority of this Dec. 2 issue is dedicated to Cardinal Tobin, you will find a few of our regular weekly features inside. 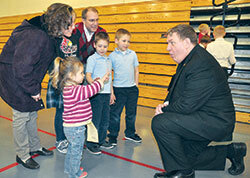 Dec. 3 farewell Mass for Cardinal Tobin at SS. Peter and Paul Cathedral in Indianapolis. To obtain more copies of this commemorative edition, call 1-800-382-9836, ext. 1585, or 317-236-1585. All of the features of this issue can also be found at www.CriterionOnline.com. May God bless Cardinal Tobin in his new ministry and mission, and may we, as disciples, nurture the many seeds he has planted here so that they may bear abundant fruit in the months and years to come.